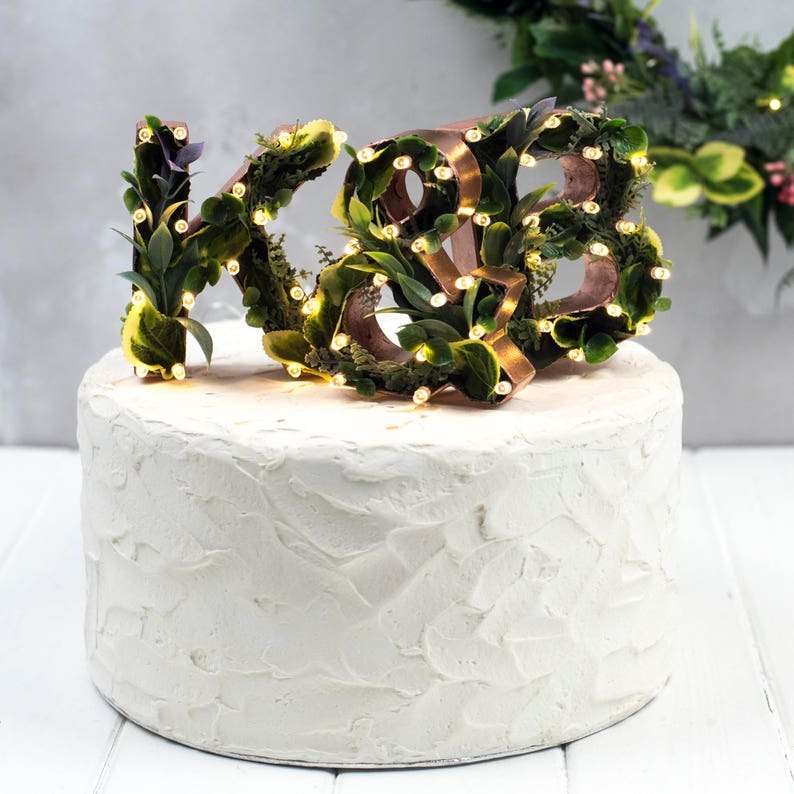 Introducing our brand spanking new custom light up flower initial cake toppers in our gorgeous 'Greenery' range. Pantone announced 'Greenery' as the colour of the year for 2017 and we couldn't agree more! We're crushing hard on this colour and our collection would look at home at just about any wedding. What's more as they're artificial they don't need any TLC, a big 'huzzah' from the not-so-green-fingered camp! • Letters are 10cm / approx. ~4 inches tall. Width varies. 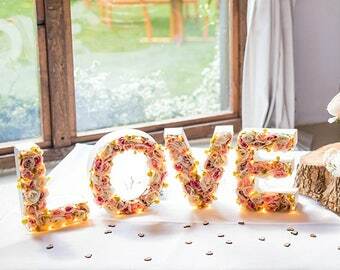 • Due to the size of the letters, we recommend that the topper be used with cake tiers of over 8"
These are amazing! We were really excited when we opened the box to discover that the lights have several different settings, as well. 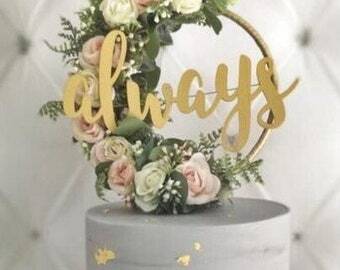 We can't wait to have these displayed at our wedding. Thanks for the beautiful work! 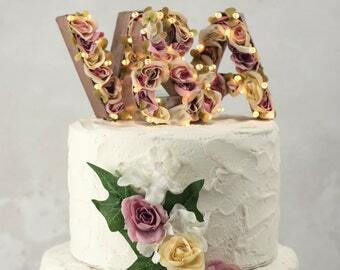 I love this cake topper, it was so much better than I thought it would be, really good quality and looks amazing! !